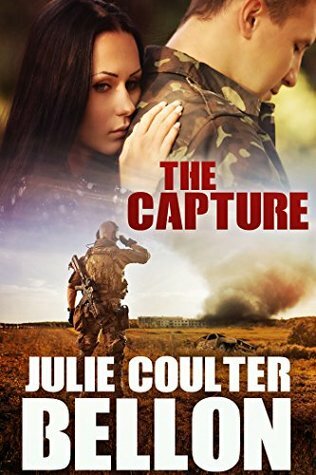 The Capture (Griffin Force #3) by Julie Coulter Bellon. Publication: May 28th 2017 by Stone Hall Books. A book full of action, romance and suspense that will keep you wondering until the very last minute! I enjoyed this book. I read it all in one intense reading! You are kept on your toes wondering what will happen next! Your mind tries to anticipate the next move but Nazer seems to somehow be one step ahead, so I didn't see a lot coming and I loved that I couldn't guess what would happen next. There are a few twists that you also didn't see coming! My heart went out to Zaya for all she endured! She was mentally and physically tortured while held captive for 6 months. She all but gave up on rescue from Julian. She was ready to die. But then he did rescue her, but she had a lot of healing to do before she could have a relationship. Julian's heart was ripping in two for her and I as the reader felt it all. Julian went all out to do whatever it took to help her heal and sometimes it made Zaya feel like she still wasn't given choices, like she was as a prisoner and she had flashbacks too. I loved loved loved the ending! If you love romantic suspense, reading about torture, counseling, action, terrorists, stories that feel like a rollercoaster, clean reads, stories that have twists you don't see coming and finally being with the one person that makes you whole than this might be for you! I haven't read for a few months due to moving house etc but I can't wait to get reading again. I enjoyed reading The Hobbit over a tenth time less than a month ago.